Steven M. Hoefflin, M.D., F.A.C.S. Suppurativa. Plast. Reconstr. Surg. 60: 4, 1977. 3. Gewirtz, J., Hoefflin, S.M. and Silsby, J.: "Iatrogenia Hidradenitis Suppurativa”. Plast. Reconstr. Surg. 4. Caffee, H.H., and Hoefflin, S.M. The Extended Dorsalis Pedis Flap. Plast. Reconstr. Surg., 64: 6, 1979. 5. Hoefflin, S.M. Postoperative Nasal Tip Taping: It Really Works. Plast. Reconstr. Surg. 76: 3, 1985. 6. Hoefflin, S.M. A Little Cold Duck before Collagen Injections. Plast. Reconstr. Surg. 80: , 1987. 7. Hoefflin, S.M. Cartilage Crusher. Plast. Reconstr. Surg. 81: 1, 1988. 8. Hoefflin, S.M. Postoperative Nighttime Nasal Taping to Decrease Swelling. Plast. Reconstr. Surg. 84: 2, 1989. 10. Hoefflin, S.M. Marcaine Spray. Plast. Reconstr. Surg. 84: 3, 1989. 11. Hoefflin, S.M. A Large Experience with Polyurethane Breast Implants. Plast. Reconstr. Surg. December 8, 1989. 13. Hoefflin, S.M. A Large Experience with Polyurethane Breast Implants. of the International Symposium RAPS/90, March 28-30, 1990. Symposium RAPS/90, March 28-30, 1990. 17. Hoefflin, S.M. Extensive Experience with Polyurethane Breast Implants. Plast. Reconstr. Surg. 86: 1, 1990. 18. Hoefflin, S.M. Decreasing Mobility of Cheek Implants. Plast. Reconstr. Misinterpretation. Plast. Reconstr. Surg. 87: 5, 1991. 20. Hoefflin, S.M. Improving Facelift Scars. Aesthetic Surgery, Summer, 1991. 23. Hoefflin, S.M. Rubber Cement. Plast. Reconstr. Surg. 88: 5, 1991. Mastopexy Scars. Plast. Reconstr. Surg. 89: 5, 1992. 25. Hoefflin, S.M. The Future of Facial Augmenta­tion. Plast. Reconstr. Surg. Plane Facelifts. Plast. Reconstr. Surg. 90: 6, 1992. Reconstructive Surgery. 91: 5, 1993. Surgery, authored by Tolbert S. Wilkinson, M.D., Published in 1994, by Springer-Verlag New York. Plastic Surgery. 18: 3, pp. 247-251, Summer, 1994. 34. Hoefflin, S.M. : "Post-Surgical Chemical Peeling of the Lower Eyelids". Published in Aesthetic Surgery, Vol. 14, No.3, Fall, 1994. Discussion, "Innovative Procedures and New Technologies". Published in Aesthetic Surgery, Vol. 15, No. 1, Spring, 1995. 36. Hoefflin, S.M. : "The Platysma Aponeurosis". Published in Plast. Reconstr. Surg., Vol. 97, No. 5, pp. 1080, April, 1996. Aesthetic Surgery Quarterly for publication, May, 1996. Vol. 97, No. 7, pp. 1516-1517, June 1996. Patients". Published in Aesthetic Surgery Quarterly, Winter 1996. Glasses and Colored Illumination". Accepted for publication in Plast. 41. Hoefflin, S.M. : "Botox Alternatives". Accepted for publication in Plast. publication in Plast. Reconstr. Surg., July 1997. Plast. Reconstr. Surg., July 1997. (Epitomes), Vol. 167, No. 2, August 1997. Folds and Jowling". Accepted for publication in Plast. Reconstr. 50. Hoefflin, S.M. : "Kenalog Scar Injection Formula". Published in Plast. 51. Hoefflin, S.M. : “The Extended Supraplatysmal Plane (ESP) Facelift”. Surgery Journal. July/August: 286. 1998.
in Perpectives In Plastic Surgery, Vol. 13, No. 2, November 1999. 54. Hoefflin, S.M. : “Brow Accessed, Conjunctival-Looped, Canthopexy”. Plast. Reconstr. Surg., January 2001. Disease of The Face?”. Published in Plas. Reconstr. Surg., April 2001.
in Plas. Reconstr. Surg., May 2001.
in The Technical Forum, December 11, 1989.
in The Technical Forum, December 14, 1989. Technical Forum, January 25, 1990.
publication in The Technical Forum, February 28, 1990.
publication in The Technical Forum, March 12, 1990. Technical Forum, Vol. 14, No. 1, April, 1990. Technical Forum, Vol. 14, No. 2, June, 1990. Technical Forum, Vol. 14, No. 2, June 1990. Forum, Vol. 14, No. 2, June 1990.
in Technical Forum, Vol. 14, No. 2, June 1990. Vol. 14, No. 2, October 1990. 17. Hoefflin, S.M. : "Avoiding Hair Loss during Coronal/Forehead Lift". Published in Technical Forum, Vol. 14, No. 5, December 1990.
in Technical Forum, Vol. 14, No. 5, December 1990. 19. Hoefflin, S.M. : "Heating Pad". Published in Technical Forum, Vol. 14, No. Technical Forum, Vol. 14, No. 5, December 1990. 21. Hoefflin, S.M. : "Excellent Antinausea Control In the Refractive Patient". Forum, Vol. 14, No. 5, December 1990. 25. Hoefflin, S.M. : "0.25% Marcaine Spray to Control Postoperative Pain". in Technical Forum, Vol. 15, No. 1, February 1991. 27. Hoefflin, S.M. : "Emergency Airway". Published in Technical Forum, Vol. 15, No. 1, February 1991. Technical Forum, Vol. 15, No. 1, February 1991. Vol. 15, No. 1, February 1991. Forum, Vol. 15, No. 1, February 1991. Technical Forum, Vol. 15, No. 4, August 1991.
in Technical Forum, Vol. 15, No. 4, August 1991. Technical Forum, December 20, 1991. PSN Clinical Skin Care Guide, 1995], July 1997.
in Technical Forum, Vol. 23, No. 4, August/September 1997. Technical Forum, Vol. 23, No. 5, October/November, 1997. Forum, Vol. 24, No. 1, February 1998. Technical Forum, Vol. 24., No. 2, pg. 6, March 1998. 3. Hoefflin, S.M. : “The Anatomy of the Platysma and Lip Depressor Muscles”. 1. Ethnic Rhinoplasty. New York, Springer, 1998. 2. Your Plastic Surgery Guidebook. 1. Hoefflin, S.M. Plastic Surgical Genital Reconstruction. Presented at the Annual Meeting of the California Society of Plastic and Reconstructive Surgeons, Guadalajara, Mexico, February 1977. 2. Hoefflin, S.M. Craniofacial Fibrous Dysplasia. Presented at the Annual Meeting of the California Society of Plastic and Reconstructive Surgeons, Guadalajara, Mexico, February 1977. 3. Hoefflin, S.M. The Microvascular Transfer of a Free Dorsalis Pedis Flap to Cover a Soft Tissue Calcaneal Defect. Presented at the Plastic Surgery Senior Resident's Meeting, Chicago, Illinois. March 1977. 4. Hoefflin, S.M. Current Management of the Severely Burned Patient. Presented at the Southern Section American College of Surgeons Meeting, Rancho Mirage, California. Fall, 1980. 6. "Hand Injuries". UCLA School of Medicine, June 25, 1980. 8. "Reconstructive Surgery, Post Mastectomy". Santa Monica Hospital Medical Center, August 14, 1980. 9. "Anatomy of the Lower Extremity". UCLA, August 21, 1980. 10. "Plastic Surgery - Application to the Skin of Children". Brotman Medical Center, February 25, 1981. 11. "Emergency Burn Treatment". Brotman Medical Center, March 1, 1981. 12. "Emergency Burn Treatment". Brotman Medical Center, April 8, 1981. 13. "Personal Experience Dermabrading Congenital Nevi". UCLA Medical Center, May 26, 1981. Medical Center, May 27, 1981. 16. "Placentas - Storage and Stripping". Brotman Medical Center, September 14, 1981. 17. "Pain Management in Burn Patients". Brotman Medical Center, September 16, 1981. 18. "Pediatric Plastic Surgery". Santa Monica Hospital Medical Center, September 30, 1981. 19. "Silver Impregnated Pigskin". Brotman Medical Center, October 4, 1981. 20. "Pigskin Grafts". Brotman Medical Center, October 5, 1981. Needlework Guild, Los Angeles, October 6, 1981. 24. Hoefflin, S.M. Dermabrasion of Congenital Giant Nevi. Presented at the California Society of Plastic Surgeons Meeting, Monterey, California, March 1981. 25. Hoefflin, S.M. Emergency Treatment of the Massively Burned Patient. Presented at the Combined Trauma Conference and Annual Paramedic Meeting, Brotman Medical Center, April 1981. 27. Hoefflin, S.M. Post Mastectomy Reconstruction - New Advancements. Presented at the Santa Monica Hospital Medical Center Grand Rounds, August, l981. 28. Hoefflin, S.M. Bilateral Brachial Plexus Traction Injury During Axillary Augmentation Mammoplasty. Presented at the American Society of Plastic and Reconstructive Surgery Meeting, New Orleans, Louisiana. September 1981. Center Surgery Grand Rounds, March 24, 1982. Surgery Residents, May 7, 1987. Plastic Surgeons meeting, Los Angeles, California, September 12, 1987. Atlanta, Georgia, November 8, 1987. Surgeons meeting, Los Angeles, California, March 17-20, 1988. 37. "Black Rhinoplasty". Formal teaching course at California Society of Plastic Surgeons meeting, Palm Desert, California, April 17-21, 1988. 38. "Large Experience with Polyurethane Breast Implants". Teaching session at California Society of Plastic Surgeons' 39th Annual Meeting, Maui, Hawaii, March 4, 1989. 39. "Black Rhinoplasty". Formal teaching course at the 22nd Annual Meeting of The American Society for Aesthetic Plastic Surgery, Orlando, Florida, April 9-13, 1989. Los Angeles, California, June 24, 1989. Angeles, California, June 24, 1989. 43. "Swollen Nasal Tip". Teaching session at Annual Meeting of ASPER, Los Angeles, California, June 24, 1989. 44. "Facial Peels". Teaching session at meeting of Los Angeles Society of Plastic Surgeons, February 20, 1990. 45. "Cheek Implant Displacement". Teaching session at meeting of Los Angeles Society of Plastic Surgeons, February 20, 1990. 46. "Polyurethane Implants". Teaching session at meeting of Los Angeles Society of Plastic Surgeons, February 20, 1990. 47. "Nuts and Bolts of Business of Plastic Surgery". Presentation to UCLA Plastic Surgery Residents on May 1, 1990. 48. "Black Rhinoplasty". Teaching session at UCLA Journal Club meeting, May 11, 1990. 49. "Subconjunctival Lower Eyelid Approach to Cheek Augmentation". Teaching session at ASPER, R.A.P.S. 90, Los Angeles, California, June 23, 1990. 50. "Obtaining Marked Improvement In Coronal and Facelift Surgery". R.A.P.S. 90, Los Angeles, California, June 23, 1990. 52. "Ancillary Facelifting Procedures". Panel discus­sion at ASPER, R.A.P.S. 90, Los Angeles, California, June 23, 1990. ASPER, R.A.P.S. 90, Los Angeles, California, June 23, 1990. Angeles, California, June 23, 1990. 56. "Revolutionary New Skin Peel Program". Teaching session at ASPER, R.A.P.S. 90, Los Angeles, California, June 24, 1990. 58. "A Large Experience With Polyurethane Implants". Teaching session at 1990 International Symposium On Plastic Surgery, Sydney, Australia, August 28 - September 6, 1990. Australia, August 28 - September 6, 1990. 60. "A Revolutionary New Skin Peel Technique". Teaching session at 1990 International Symposium On Plastic Surgery, Sydney, Australia, August 28 - September 6, 1990. 62. "Black Rhinoplasty". Formal teaching course at California Society of Plastic Surgeons, Inc. Meeting, San Francisco, California, March, 1991. 63. "Transconjunctival Approach To Cheek Implants". Teaching session at Bi-Annual Meeting of International Society of Aesthetic Plastic Surgery and Lipoplasty Society of North America, San Diego, California, April 3-7, 1991. 64. "Simplified Intraoral Excision of the Buccal Fat Pad". Teaching session at Bi-Annual Meeting of International Society of Aesthetic Plastic Surgery and Lipoplasty Society of North America, San Diego, California, April 3-7, 1991. North America, San Diego, California, April 3-7, 1991. Society for Aesthetic Plastic Surgery, New York, New York, May 1, 1991. 67. "Facial Peels". Co-presenter with Simon Fredricks, M.D., at Annual Meeting of The American Society for Aesthetic Plastic Surgery, New York, New York, May 1, 1991. 68. "What's New In Facial Peels". Teaching course at the UCLA Live Demonstration: Advanced Dermatologic Surgery Workshop, sponsored by the Division of Dermatology at UCLA on May 18, 1991. 69. "Facial Peels". Presentation at meeting of the Los Angeles Society of Plastic Surgeons, Los Angeles, California, May 21, 1991. Los Angeles, California, July 20, 1991.
session at ASPER, R.A.P.S. 91, Los Angeles, California, July 20, 1991. ASPER, R.A.P.S. 91, Los Angeles, California, July 21, 1991. Surgeons, Seattle, Washington, September 24, 1991. 76. "Refinements in Trichloroacetic Acid Skin Peels". Teaching session at the Annual Meeting of the American Society of Plastic and Reconstructive Surgeons, Seattle, Washington, September 26, 1991. 77. Hoefflin, S.M. Approaching the Perfect Anesthetic Experience. Presented at the California Society of Plastic Surgeons Meeting, San Francisco, California, March 3, 1991. 78. Hoefflin, S.M. Improving Coronal and Facelift Scars. Presented at the California Society of Plastic Surgeons Meeting, San Francisco, California, March 3, 1991. Surgeons, Inc. Meeting, Newport Beach, California, March 7, 1992. 83. Chairman of Panel on "Plastic Surgery Pearls". California Society of Plastic Surgeons, Inc. Meeting, Newport Beach, California, March 8, 1992. Surgery, Inc., May 3-8, 1992, Los Angeles, California. Plastic Surgery, Inc., May 3-8, 1992, Los Angeles, California. 87. "Topical Treatment of Aging Face". EF Teleplast - Televised presentation for ASPRS/PSEF. October 22-25, 1992, San Diego, California. Society of Plastic Surgeons Meeting, Newport Beach, Ca., March 9, 1992. 91. "A Histologic Evaluation of Retin-A vs. Retin-A/ Glycolic Acid" at Cosmetic Peel Workshop, June 12, 1993, Los Angeles, California. Plastic Surgery, May 21-24, 1994, Florence, Italy. 93. "Importance of the Skin - Thick Skin Nose". Presentation at Symposium Rhinoplasty - 94, May 26-27, 1994, sponsored by Societe d'Organisation de Congres Francais et Internationaux, Paris, France. 95. "Various Methods of Chemical Peeling" - Presented at the 20th Annual Education Seminar of the Association of Plastic Surgery Assistants, September 25, 1994, San Diego, California. Surgeons, September 26, 1994, San Diego, California. and Reconstructive Surgeons, September 27, 1994, San Diego, California. Society of Plastic Surgeons, October 15, 1994, Los Angeles, California. 99. Hoefflin, S.M. ESP (Extended Supraplatysmal Plane) Facelift Technique. Surgery, Monterey, Ca., February 1-3, 1996. Monterey, California, February 1-3, 1996. 101. "Rhytidectomy Technique and Resurfacing: Evolution of Personal Approach and Perspective on Techniques", a teaching session, Eighth Annual Symposium on Aesthetic Surgery, University of California at San Francisco, March 20-24, 1996. 102. "Facial Aging, Planes, Endoscopes, Lasers", panel discussion (Dr. Hoefflin was a panel member), Eighth Annual Symposium on Aesthetic Surgery, University of California at San Francisco, March 20-24, 1996. 103. "Body Contouring, Facial Aging, Audience Cases", panel discussion (Dr. Hoefflin was a panel member), Eighth Annual Symposium on Aesthetic Surgery, University of California at San Francisco, March 20-24, 1996. Orlando, Florida, May 2, 1996. 106. "The ESP (Extended Supraplatysmal Plane) Facelift", teaching session, Annual ASAPS Meeting, Orlando, Florida, May 2, 1996. 108. "The Extended Supraplatysmal Plane Facelift, teaching course, Annual Meeting of California Society of Plastic Surgeons, Indian Wells, California, May 23-27, 1996. 109. "Skin Resurfacing with Chemical Peels and Lasers - What to Use, When", panel discussion (Dr. Hoefflin was a panel member), Annual Meeting of California Society of Plastic Surgeons, Indian Wells, California, May 23-27, 1996. Wells, California, May 23-27, 1996. Surgeons, Indian Wells, California, May 23-27, 1996. 112. "Facelift - Personal Experience", teaching session, Stanford Aesthetic Facial Plastic Surgery Symposium, San Francisco, California, June 6-8, 1996. 114. Dr. Hoefflin presented the Overview of Aesthetic Surgery presentation at International Symposium on Plastic Surgery, Jerusalem, Israel, June 9-13, 1996. Jordanian members of ASPRS, Amman, Jordan, June 15, 1996. 117. Hoefflin, S.M. Rhytidectomy Technique and Resurfacing: Evolution of Personal Approach and Perspective on Techniques. Presented at the Eighth Annual Symposium on Aesthetic Surgery, San Francisco, Ca., March 20-24, 1996. 118. Hoefflin, S.M. Protocol for Painless Carbon Dioxide Facial Resurfacing. Presented at UCLA Medical School, April 1996. 119. Hoefflin, S.M. ESP (Extended Supraplatysmal Plane) Facelift Technique. Aesthetic Plastic Surgery, Orlando, Florida, April 28-May 3, 1996. Indian Wells, Ca., May 23-27, 1996. 121. Hoefflin, S.M. The Extended Supraplatysmal Plane (ESP) Facelift. Jerusalem, Israel, June 8-23, 1996. 123. Hoefflin, S.M. The ESP (Extended Supraplatysmal Plane) Facelift. ASAPS Meeting, New York, New York, May 7, 1997. Anniversary ASAPS Meeting, New York, New York, May 5, 1997. Meeting, New York, New York, May 5, 1997. Meeting, New York, New York, May 6, 1997. Anniversary ASAPS Meeting, New York, New York, May 6, 1997. 30th Anniversary ASAPS Meeting, New York, New York, May 7, 1997. O’Oviore, Africa, December 3–7, 1997. Surgery / Body Contouring, La Jolla, California, Jan. 29 – Feb. 1, 1998. Contouring, La Jolla, California, Jan. 29 – Feb. 1, 1998. 135. "Post-op Care of Laser Skin Resurfacing", Horizons in Facial Cosmetic Surgery / Body Contouring, La Jolla, California, Jan. 29 – Feb. 1, 1998. 136. "Nonsurgical Removal of Localized Fat”, Horizons in Facial Cosmetic Surgery / Body Contouring, La Jolla, California, Jan. 29 – Feb. 1, 1998. 138. “Extended Supraplatysmal Facelift”, Advances in Facial and Body Contouring including Ultra-sound Assisted Lipoplasty (UAL) Workshop, Park City, Utah, Feb. 25 – Mar. 1, 1998. 139. “Care for Laser Resurfacing”, Advances in Facial and Body Contouring including Ultra-sound Assisted Lipoplasty (UAL) Workshop, Park City, Utah, Feb. 25 – Mar. 1, 1998. 140. “Lipo-Dissolution”, Advances in Facial and Body Contouring including Ultra-sound Assisted Lipoplasty (UAL) Workshop, Park City, Utah, Feb. 25 – Mar. 1, 1998. 141. “Ethnic Rhinoplasty”, Advances in Facial and Body Contouring including Ultra-sound Assisted Lipoplasty (UAL) Workshop, Park City, Utah, Feb. 25 – Mar. 1, 1998. 142. “Anesthesia for Plastic Surgery”, Advances in Facial and Body Contouring including Ultra-sound Assisted Lipoplasty (UAL) Workshop, Park City, Utah, Feb. 25 – Mar. 1, 1998. 143. “Plastic Surgery Pearls”, Advances in Facial and Body Contouring including Ultra-sound Assisted Lipoplasty (UAL) Workshop, Park City, Utah, Feb. 25 – Mar. 1, 1998. 144. “TCA Peels and Other Skin Resurfacing with Facelifts”, Skin Care Conference, Los Angeles (UCLA), April 23, 1998. 145. “Ethnic Rhinoplasty”, Congres International de la Societe Francaise de Chirurguie Esthetique (International Congress of Plastic Surgery), Hotel Nikko in Paris, France, May 23, 1998. 147. “Non-surgical treatment of lipodystrophies by lipodissolution”, Congres International de la Societe Francaise de Chirurguie Esthetique (International Congress of Plastic Surgery), Hotel Nikko in Paris, France, May 23,1998. Hotel Nikko in Paris, France, May 24, 1998. Surgery), Hotel Nikko in Paris, France, May 24, 1998.
of the Face”, Newport Beach, California, August 5-9, 1998. 151. “Advances in Aesthetic Plastic Surgery Symposium” in New York City. Dermatology, New Orleans, Louisiana, March 19-24, 1999. Aesthetic Surgery, Dallas, Texas, May 14-19, 1999. Aesthetic Surgery, Lindau, Germany, September 9-11, 1999. Surgery, Lindau, Germany, September 9-11, 1999. Cutting Edge III, New York, New York, November 13, 2000. Edge III, New York, New York, November 13, 2000. 166. “The Surgical Creation of Facial Beauty Using The ESP-AH Technique”. UCLA. Los Angeles, CA. 167. 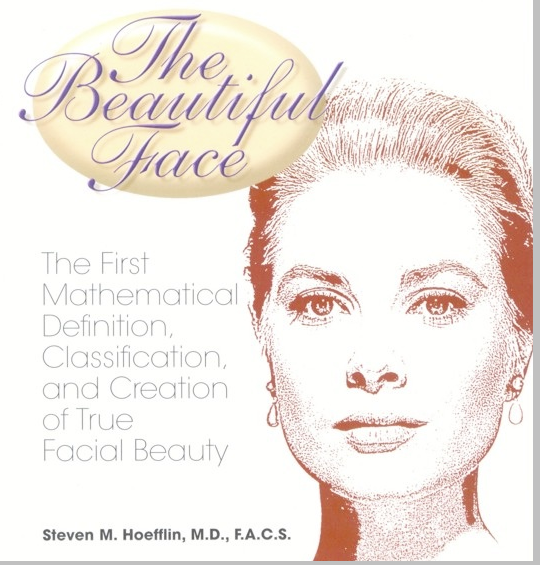 “The First Mathematical Definition and Classification of True Facial Beauty Using The Formula of AH”. Kaiser Permanente Surgical Symposium. Dana Point, CA. September 15, 2001. 171. 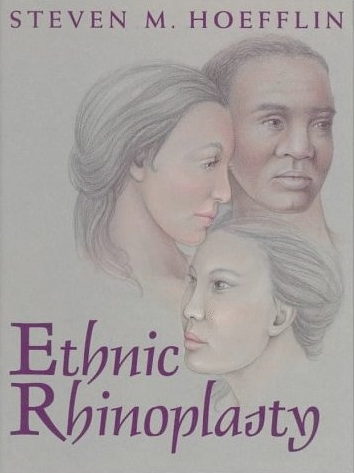 “Ethnic Rhinoplasty”. III International Plastic Surgery Symposium. Sao Paulo Brazil. March 16, 2002. 172. “Hypotonic Pharmacological Lipo-dissolution.” III International Plastic Surgery Symposium. Sao Paulo Brazil. March 16, 2002. 173. “The Beautiful Face” III International Plastic Surgery Symposium. Sao Paulo Brazil. March 16, 2002. 174. “The Labial Ledge” III International Plastic Surgery Symposium. Sao Paulo Brazil. March 16, 2002. 1. On March 19, 1988, "The Hoefflin Building", located at 1530 Arizona Avenue, Santa Monica, California, which was designed under direct supervision of Steven M. Hoefflin, M.D., was utilized as a model for outpatient surgicenter by the American Society of Outpatient Surgeons during that society's annual meeting. 4. On May 1, 1990, Dr. Hoefflin again hosted plastic surgical residents from UCLA Medical Center where operation of a plastic surgical office was discussed. 5. Dr. Hoefflin was consultant to the Michael J. Fox plastic surgery movie, "Doc Hollywood", filmed in 1991. 6. Dr. Hoefflin personally made arrangements for Lee Iacocca, Chief Executive Officer, Chairman of the Board, Chrysler Corporation, to deliver a speech at the Twenty-Fifth Annual Meeting of The American Society for Aesthetic Plastic Surgery, Inc., May 6, 1992. 7. On February 6, 1994, the American Cinema Awards honored Dr. Hoefflin with the Joel McCrea Achievement Award. and new plastic surgery techniques which included laser therapy. for UCLA medical school students. General Anesthesia program in the June 2001 issue. attitudes on youth, beauty, success, and cosmetic plastic surgery within different cultures and societies. The documentary visits Los Angeles, London, Rio de Janeiro, and Sydney. Dr. Hoefflin represented Los Angeles in the show.